I am committed to providing families with quality, timely, and accurate pediatric care in an environment of mutual trust, respect, and compassion." For more than a decade, Dr. Egsieker has been helping children grow into healthy adults, and that’s exactly why she signed up to become a pediatrician! Even after all this time, she still considers it an incredible honor and privilege to watch children and families grow. And admits that she often feels more like Aunt Mary instead of Dr. Mary. As a wife and mother of two healthy, amazing kids, Dr. Egsieker spends the majority of her time on-the-go! Fortunately, she has really great endurance due to her other love in life: running. She is currently training for a marathon and runs at every opportunity – if there’s an upcoming half marathon around the city, you can bet she’s already registered! She’s also the returning captain of Metropolitan Pediatrics’ Hood to Coast team whenever the relay’s lottery system is kind to us! 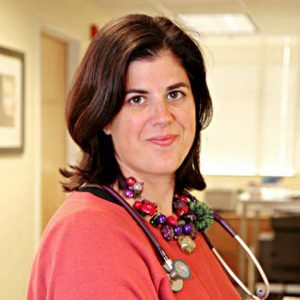 "We first met Dr. Mary Egsieker when my now 12 year old son was just 2 weeks old. Born 7+ weeks early at 3 lbs., we were unprepared and nervous parents. Dr. Mary was awesome. She's incredibly knowledgeable, patient, kind and empathetic. Answering all our questions and concerns then and now, we can't imagine doing this thing called "parenting" without her and all the wonderful staff at Metropolitan Pediatrics Gresham. Most recently she treated our 7 year old daughter quickly and easily for a number of ailments and no tears were shed. We love you Dr. Mary!" "Dr. Mary and all the staff at Metro Peds. are awesome! Dr. Mary has been our families doctor for going on two generations of kiddos! We love her!" "I have been taking my children to Dr. Mary for seventeen years and have always received the best care! She is the best by far. She is so compassionate, yet very knowledgeable at the same time. Every one of my relatives take their children to see her due to our amazing experiences. We ❤ you, Mary!" "My daughters have seen both Dr. Egsieker and Dr. Willey in Gresham, and they’d are both fantastic! Dr. E immediately diagnosed a major infection that our prior provider (at a different clinic) missed in 3 different appointments. The clinic is super clean, and everyone is friendly!" "I have 2 kids that have been seeing Dr. Mary since they were born. Every time we come in she takes time with them and answers all my questions. I trust her professional opinion, and I feel like she always makes the right decisions for my children. She is so kind with my kids! Her staff is great too. Shelly has been working with my kids since day one. She is awesome. She also has a new assistant named, I think, Becca. She was wonderful as well! I would recommend this practice, Dr. Mary, and her staff to anyone!"